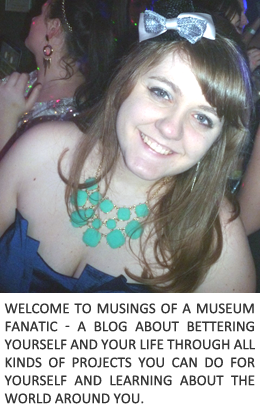 Musings of a Museum Fanatic: High fiving cause it's friday! 2. I accomplished another item off my 101 list! My goal to hold an office in my sorority alumnae groups has been started. One of the ladies emailed me the day before the meeting and asked if I wanted to hold office. I was thinking something small to start off with. Got there Wednesday night and oh I'm the only one up for president. Well why not let's go big or go home right? So I'm not sure if I should cross it off now or when I actually finish up being president? 3. 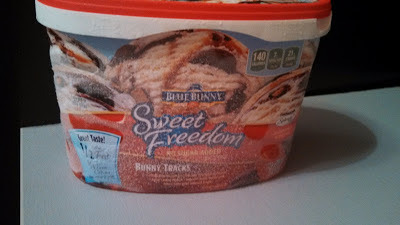 Free half gallons of ice cream nom nom. Will do a review next week. 4. Being awesome at work this week. I busted out a killer self tour brochure in about a day and half. Along with that I figured out what was going wrong with the numbering system and have started to fix it. Although it's going to take forever ugh! 5. Hubby had an interview and it went extremely well. It was a good week overall but I am so ready for the weekend. Have a good Memorial weekend everyone.